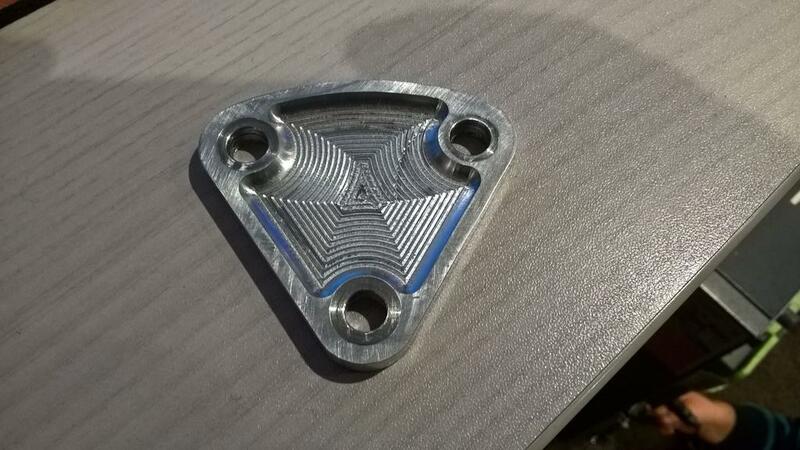 I've been mucking around with the mechanical fuel pump covers, I'll probably put this one on the car but I might make another and engrave it. 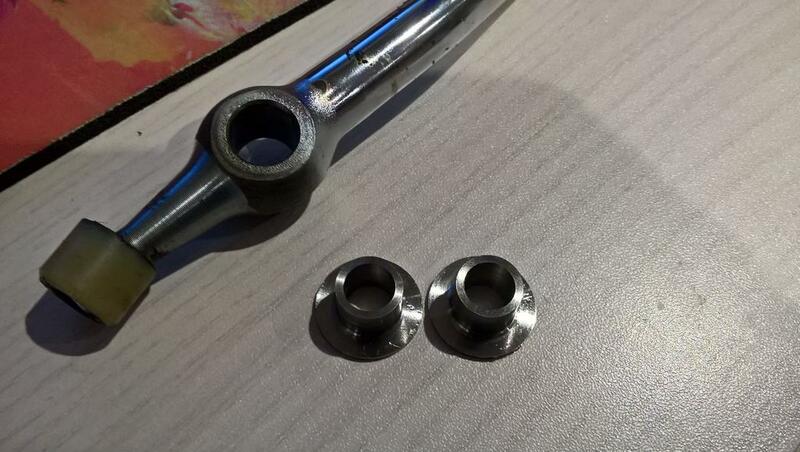 Also made some titanium gear stick bushes out of some scrap. Got the original pedal box out of this today, will put some paint on the manual one tomorrow once it's a bit warmer and hopefully put it back in the car tomorrow. Then I can put the clutch hydraulic bits back in it and start on the rear end. 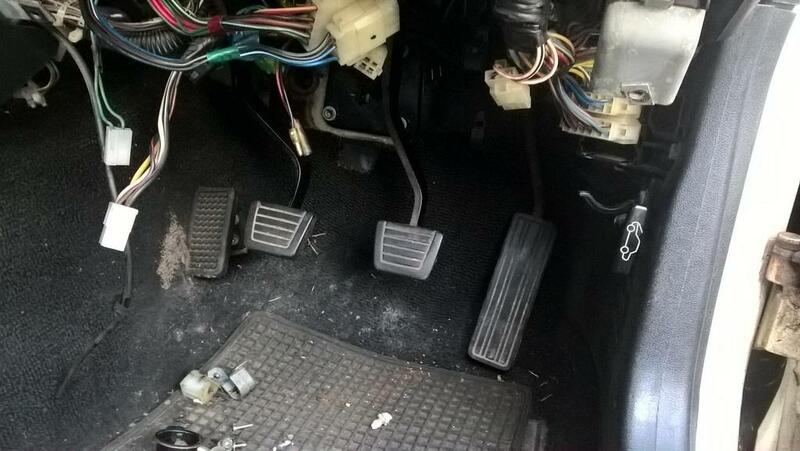 Got the pedal box and steering column back in, new clutch master cylinder on too. One step closer. After the Nationals I got some of my mojo back for working on this. 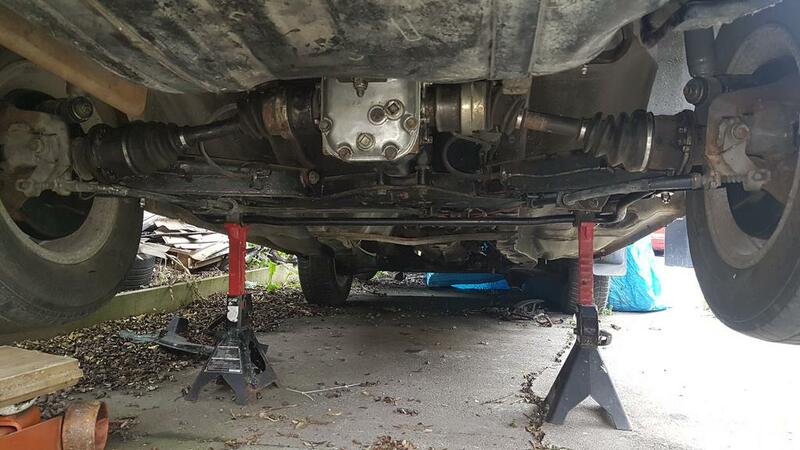 Have almost got the rear end back together, axles are in, sway bar is sitting on it's mounts with no links yet, I used them on the black car so need to get new ones, torqued the control arm bolts up as I left them loose when I put them in. Spent today putting the rear brakes back on after cleaning them up. There's not a lot to do to get it running and driving, probably 2 full days work if I had all the parts. Spent today doing odd jobs on this, put the near rear gearbox seal in, after cleaning up and removing the dust shield then having to weld it back on with James' tig on the wrong driveshaft I put the correct driveshaft in. Put the clutch slave cylinder and plumbing back on, filled it with fluid. Started on some of the wiring, there's something fishy going on with the starter solenoid wiring that I need to look into. I just bought another FSM from Flauski as I can't find my other one and this one has an intact wiring diagram. Did a few other little bits and pieces, won't be too long now before I can start it. 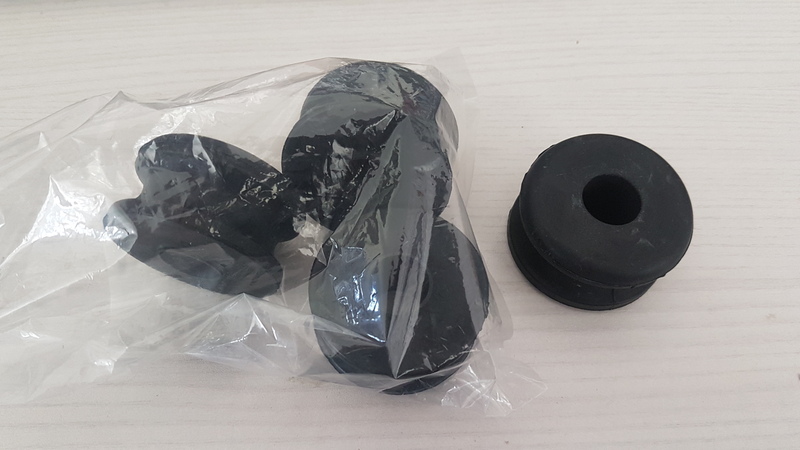 The new rear sway bar link bushes are on the way. Got the new rear sway bar bushes, shipping from Rockauto is fast. Put them in over the weekend, not a very fun job but I got there. 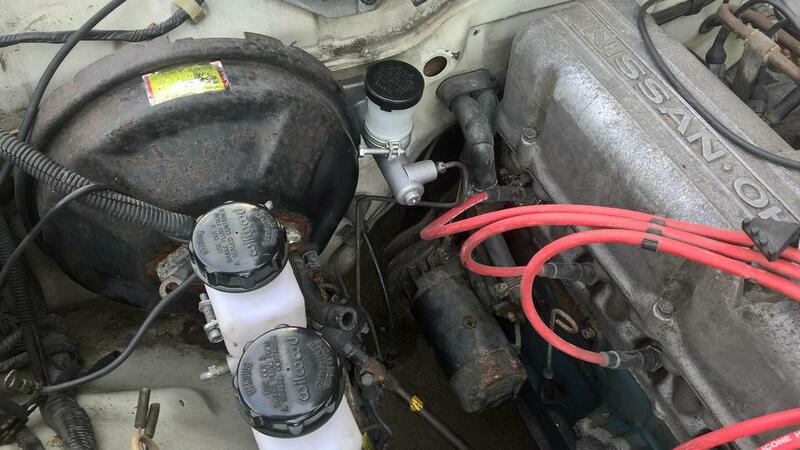 Also did the fuel tank straps up and put the hose for the filler back on the tank. The rear end is 99% done, I have to get a split pin for the hand brake and bleed the brakes. There's actually not much more to do to it before I can start it, got a few little annoying things to sort out like the fittings for the heater hoses, the originals were rusty and yuck so I'll replace them with brass once I can track some down. Need to fit the throttle linkage, fit an alternator and finish off the wiring. 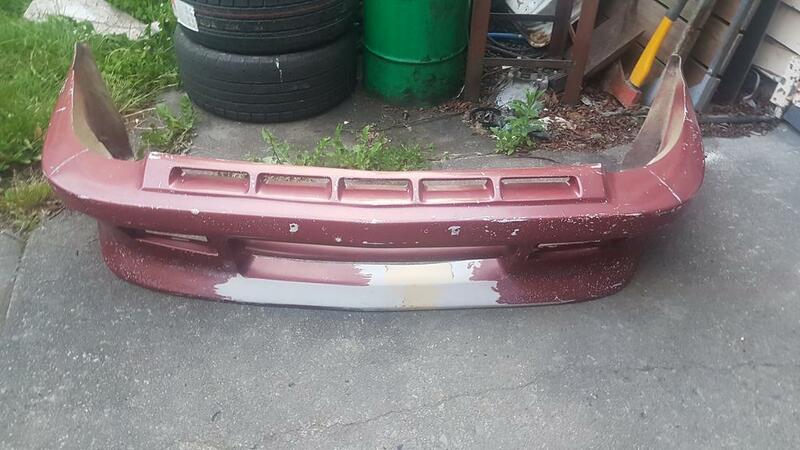 Got another Aerotech front bumper for this, when I got the parts car it came with a very rough one that I was planning on putting on this car but this one came up pretty cheap and looked pretty decent with only a minor patch job on it, it needs a little bit of smoothing out but it's way better so I'll pass the rough one on to James. 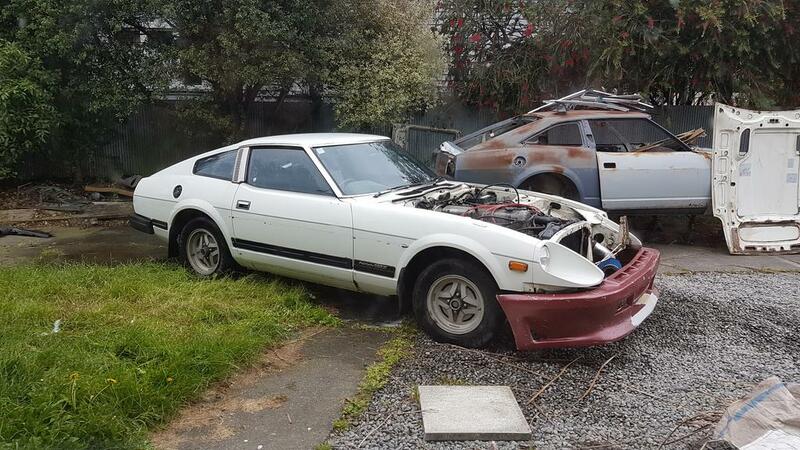 Haven't had a chance to do much else to this so far this holidays but the plan is to get this one running and driving and get rid of the parts car which I think is achievable. This one doesn't need too much else, need to tidy up a few little bits in the rear end/fuel system and finish the wiring and it should be ready to start. I put the front kit on roughly the other day, it looks like it's been drilled to fit Fairlady Z front bumper mounts so I had to take the bumper shocks off and put my spare pair of them on. Got it started today, only ran it for a couple of minutes, it's got no exhaust and no cooling system. I had to finish putting the fuel system together, I hadn't put the fuel sender unit back in the tank, I ended up taking the one out of the parts 2+2 as the original was a bit rusty from sitting in the tank full of fuel for so many years. Also put the lines back on from the hard lines to the engine. 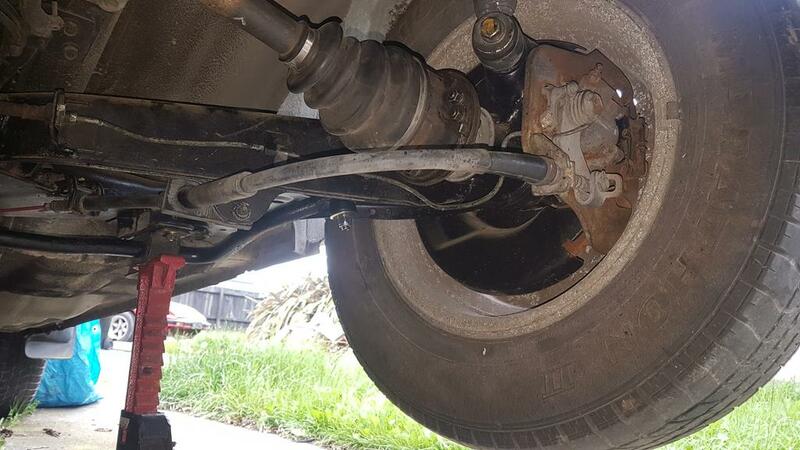 The key is stuck in the ignition so I had to take the switch off the back and turn it with a screwdriver, I thought I had the right wire going to the starter but it turns out it was the wrong one, so once I got that sorted it turned over and started within a couple of cranks. I started it in gear and there wasn't any noise from the diff or gearbox. So, got a couple of things to do that should take maybe another day, then I should be able to take it for a test drive. Yes I got the cooling system all together, got James around to help bleed the clutch and managed to drive it out of where it's been for ages. Gave it a quick wash. Spent today doing a bit of cleaning and putting little bits and pieces back together. It's getting closer. Got one of the few parts remaining on this, some genuine Nissan rubber radius rod bushes. The bush kit that I bought came with some but they were basically solid plastic and I didn't want to use them, these should last another 10 or 20 years.